The International Carwash Association’s CAR WASH Magazine has been honored with a Bronze award in the Quarterly Magazine category in Association TRENDS’ 2015 All-Media Contest. The TRENDS All Media Contest is an annual competition held exclusively for associations, recognizing the most creative and effective communication vehicles developed in the industry over the prior year. 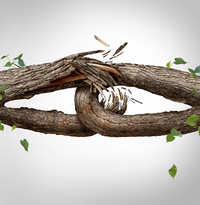 The 2015 competition included 400 entries in 22 categories of association communications. "We're really proud of the work we do with our magazine and to be honored by Association TRENDS is a testament to the quality of our magazine staff," said CAR WASH Magazine Editor-in-Chief Matt DeWolf. "We're fortunate to have a group of people who give endlessly to make sure that the publication is constantly moving forward, and consistently providing value and interest for its readers." 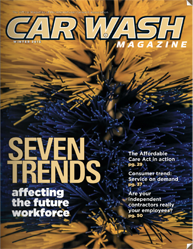 Visit http://www.carwash.org/news-landing/2016/02/10/car-wash-magazine-wins-quarterly-magazine-award-in-association-trends-2015-all-media-contest to view the full article online. Gazing into a crystal ball does not always paint such a clear picture. But where the workforce is concerned, demographics can certainly provide some significant clues to what the future holds. In our latest issue of the Magazine, we take a peak at our very own crystal ball to see what we can find out bout the future workforce. Visit http://www.nxtbook.com/naylor/ICWQ/ICWQ0415/index.php#/18 to view the full article online. A Savannah Car Wash is doing its part to help the homeless. Johnson Brothers Car Wash and Rib Shack gave out free dinners to the homeless Tuesday. The idea was formulated around Christmas time when the business was looking to do something to give back to the community. Visit http://www.wjcl.com/news/local-news/local-car-wash-helps-the-homeless/136366865/story to view the full article online. Even in the final stages of terminal brain cancer, Andy Kubiak was doing what he always did - making people laugh. "In the hospital and hospice care, he kept everybody laughing," said his brother Joe Kubiak of Arnold. Visit http://triblive.com/news/valleynewsdispatch/9941666-74/kubiak-andy-care to view the full article online. The rain may have washed the salt off the road, but it did not wash the underside of your car. "If the rain did it alone, we would never have cars with rust underneath," River Driver Service Manager John Killmeyer said. He said the salt can cause so much corrosion, it can cause your car to fail inspection. Visit http://fox43.com/2016/02/03/road-salt-impact-on-your-car/ to view the full article online. Time is money and no one knows that better than Willy Tejeda, owner of Taco Burger Cafe in North Houston. Chew on this, Tejeda's restaurant is in the middle of the Dr. Gleem Car Wash.
Visit http://cw39.com/2016/02/05/car-wash-haircut-great-meal-taco-burger-cafe/ to view the full article online. 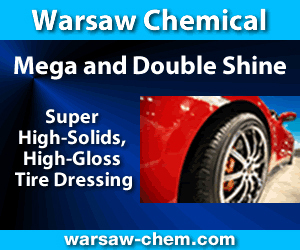 First Colombia Gold Corp., a real-estate development company focusing on the convenience-store and car-wash sectors, has announced that it has reached an agreement to purchase a full-service car wash located in Bluffton, SC. 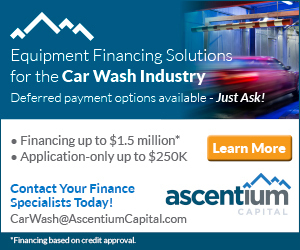 Visit http://www.cspnet.com/category-news/services/articles/first-colombia-gold-acquires-car-wash to view the full article online. Visit http://www.inc.com/marissa-levin/9-leadership-behaviors-that-lose-employee-trust-and-respect.html to view the full article online. Americans are ready to quit, while small firms are hiking pay rapidly despite weak sales and gloomy forecasts. Business continue to trim inventories too. Visit http://www.investors.com/news/economy/workers-are-ready-to-quit-small-business-pay-hikes-hit-8-year-high/ to view the full article online. How? By being simple. Yes, simple. The most simplistic brands give people what they want at the moment they want it without complication. And in the process, these brands earn devotion (and dollars) from customers. Visit http://brainsonfire.com/2016/02/09/branding-made-easy/ to view the full article online. If Mad Men is to be believed, the difference between a successful brand and a failure is the perfect ad: one witty line, the perfect image; an overall feeling that captures and captivates the target audience and converts them into customers. Visit http://techcrunch.com/2016/02/09/the-ultimate-ad/ to view the full article online. Martin Geller, president of Vehicle Wash Systems, Inc., has been around car washes all of his life. His family’s been in the business since 1952. Now, he says he's come up with a new way of doing things, a compact car wash system with a Superior® Flat Belt Conveyor. 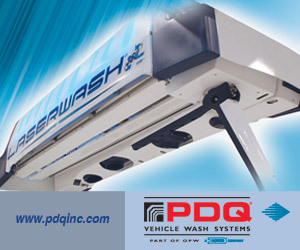 Visit http://www.carwash.org/news-landing/2016/02/09/supplier-news-vehicle-wash-systems-inc.-announces-new-superior-flat-belt-conveyor to view the full article online.